When I was in college, I worked at the Oberlin Historical and Improvement Organization, and one of my responsibilities was to give tours of historical homes. One of the homes had dining room furniture upholstered with fabric covered in pineapples. The first time I saw it I was surprised to see something so tropical in the middle of Ohio, but I quickly learned that the pineapple is a symbol of hospitality. During colonial times the use of the pineapple in guestrooms, parlors, and dining rooms became widespread and served as a sign of warmth and welcome to guests. It only takes one day in Hawai’i – one mai tai, one slice of pineapple – to understand why the pineapple symbolizes “welcome”. Its uniquely sweet yet tart taste, it intoxicatingly tropical aroma, and its beautiful presentation all say aloha. Without fail, we always buy a pineapple to welcome visitors. We then find some way to incorporate the fruit into a dinner or dessert. Many times, visitors like to buy their own pineapples, as well. Last week our friends Stina and James were visiting. Pineapples were bought. Pineapples, however, were not consumed. I now have two pineapples to use. 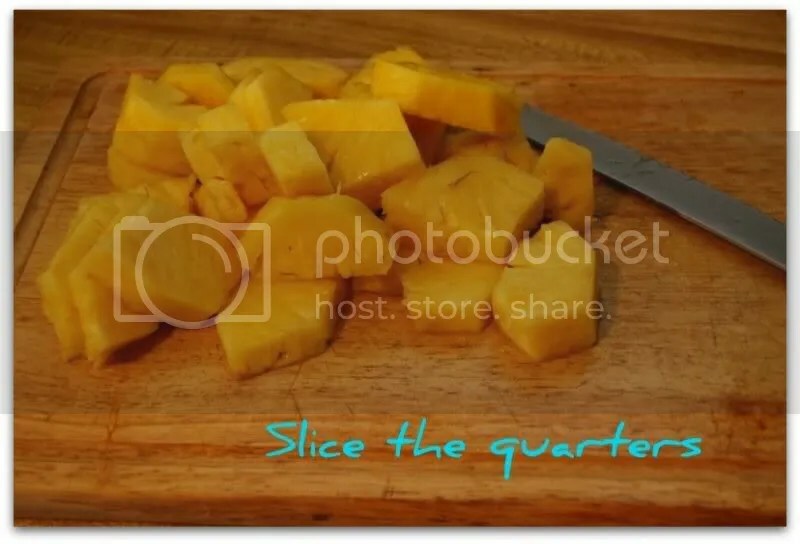 Pineapples do not get any sweeter after they are plucked from the plant. There is no advantage to letting a pineapple sit on your counter. My two pineapples need to be eaten ASAP. 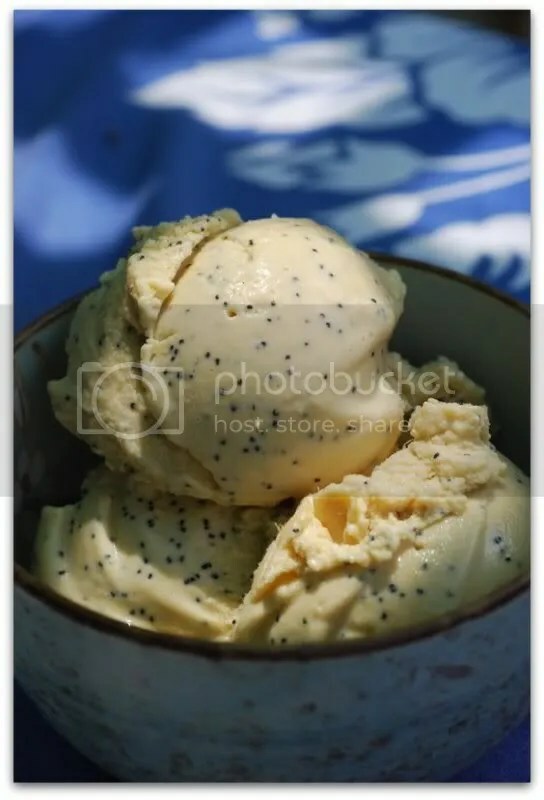 I decided to make a fruity ice cream with one of my pineapples and I settled on pineapple poppy seed. 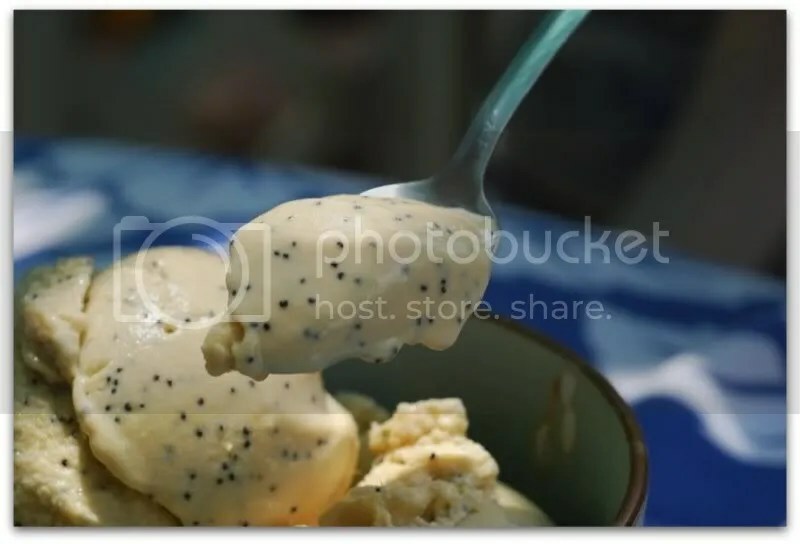 The sweetness of the pineapple lends itself well to ice cream, it pairs well with the vanilla, and the poppy seeds add a nice and satisfying texture to the treat. 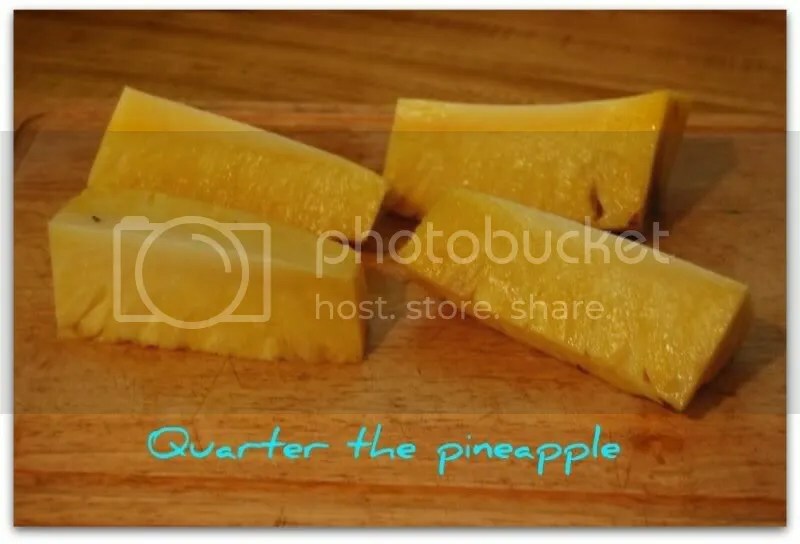 I pureed the pineapple before using it in the recipe so that it would create a silky smooth texture. The flavor of this ice cream is incredible. It’s like aloha in a bowl. Combine all ingredients except for the poppy seeds in a food processor or blender until completely smooth. Stir in poppy seeds. Pour mixture into an ice cream maker and freeze according to your manufacturer’s directions. Sounds like a great flavor combination! 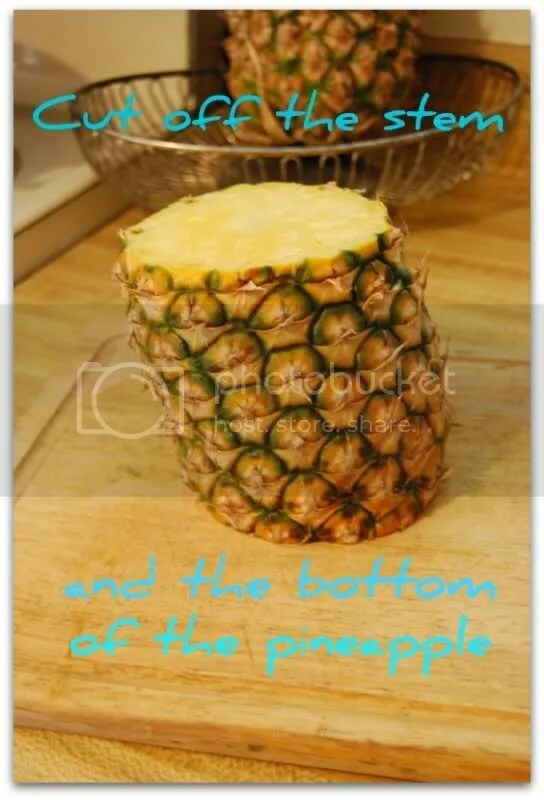 I’ll have to try it next time a pineapple makes it way too me. Gail – This is a fabulous flavor combination. I love the look of it…such a summertime flavor. Oh how I wish they would make some rice based yogurt or other types of bean curd, since I can’t eat soy. I love your ice cream, it’s lovely. Oh man…you are making me wish I had an ice cream machine!! 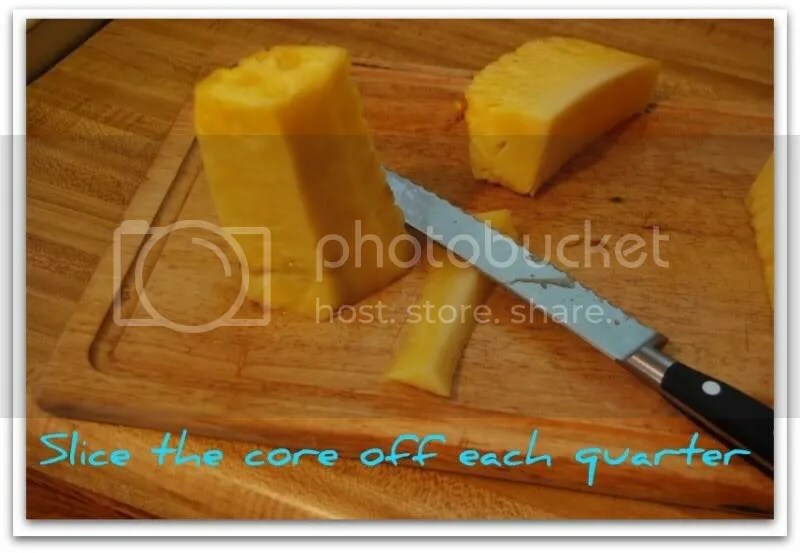 And now I know how to cut a pineapple. Thanks. and it has yet to be used successfully!! So glad that we could help contribute to such a yummy dessert!! O that looks delicious and vegan – wow! I will have to try once it gets a bit warmer. This topic is quite trendy on the Internet right now. What do you pay the most attention to when choosing what to write about? I found your website when I was looking for something else, but this post showed up at the top of Google your website must be amazingly popular! Continue the awesome job!